You should be forming a relationship with both a bank and a banker. There are, however, practical pluses and minuses to relying on just one primary banking contact in this era of bank consolidation, when changes in personnel can occur quickly. You do not want to rely extensively on one person who may suddenly leave. Just as a lawyer needs to have deep and wide relationships with clients' organizations, you want a range of contacts within your bank. Don't just limit yourself to dealing with only your loan officer or branch manager. Getting to know a senior manager, a vice president, or even the president of the bank will help you in the long run. This is particularly true if the bank is involved in a merger. Your contacts could not tell you about a merger beforehand because of privacy restrictions. However, once you've established senior relationships, you can prepare for a pending merger by asking to be on the short list for early notification. If a merger does occur, ask to be introduced to the new people as soon as possible. If your bank is doing the acquiring, it puts you in a good position with a stronger bank that has new referral sources. Alternatively, if your bank is being acquired, you have to know who the new players are. To contextualize the lawyer-banker relationship and what you want to obtain from it, think of the bank as a supplier. Suppliers provide lawyers with goods and services that, in turn, allow the law firm to deliver quality legal services to its clients. 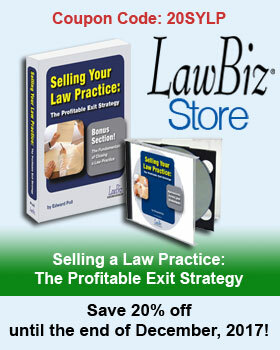 One of the essential suppliers, for any lawyer, is a reliable and helpful bank. Good banking relationships provide the necessary funds and financial services that allow a firm not only to maintain itself but also to grow with the future.